The Lekker X can be fitted with a practical and stylish rear carrier. Completely in line with the Lekker X the rear rack is full aluminium and is finished in a Matte black color, to fit both the Onyx and Celeste perfectly. 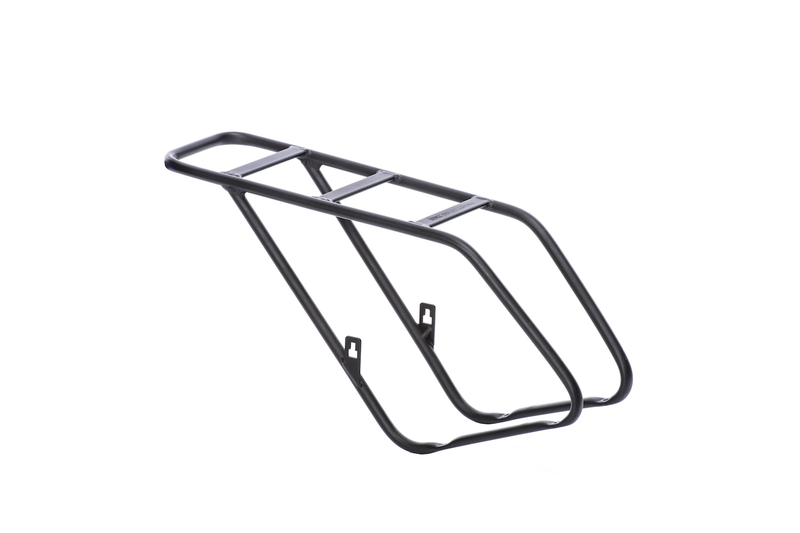 The carrier is mounted to the frame to maintain the Lekker X stylish design. Maximum carry capacity is 25KG.